You save 45% that's £120.00! Width 62cm, Height 196cm, Depth 39cm. 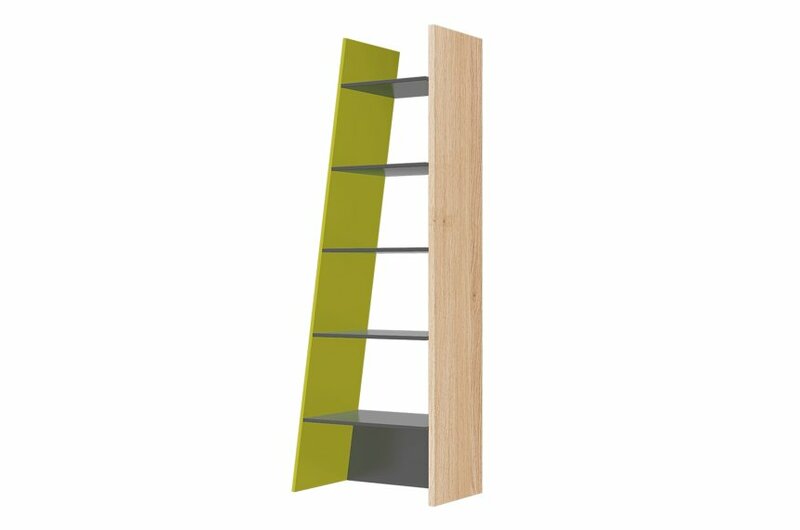 The ultra modern Fenwik tall ladder bookcase in graphite grey with lime green and oak effect. This bookcase features 5 shelves perfect to store books, binders and decorative items. 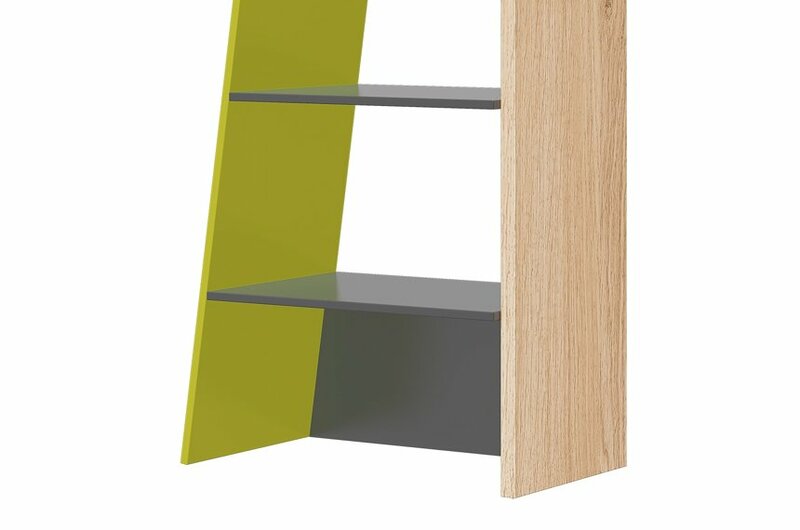 This bookcase will deliver functionality, versatility and add a contemporary feel to your living space. It can be assembled in right or left version.